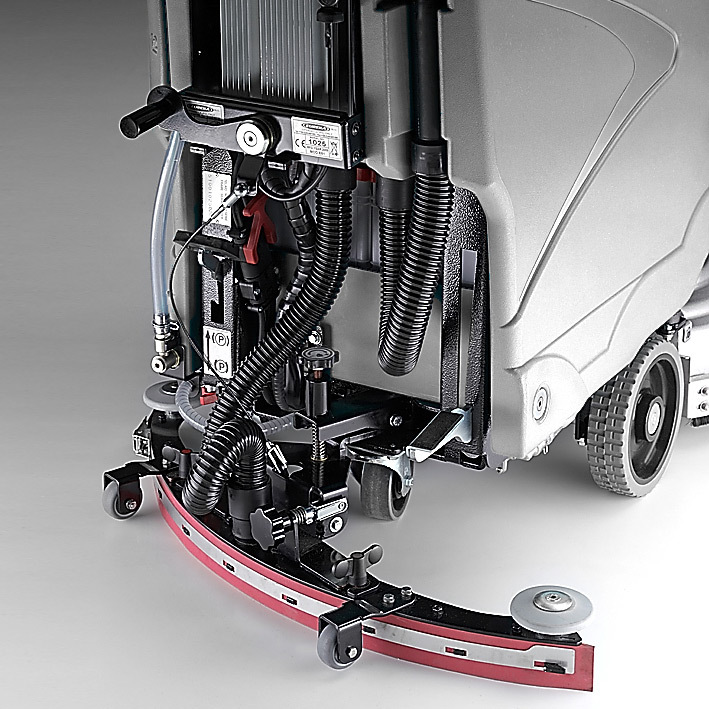 The M810 is top of the range, a professional walk-behind auto-scrubber with 810mm / 32 in twin brush head, for the rapid cleaning of large areas. 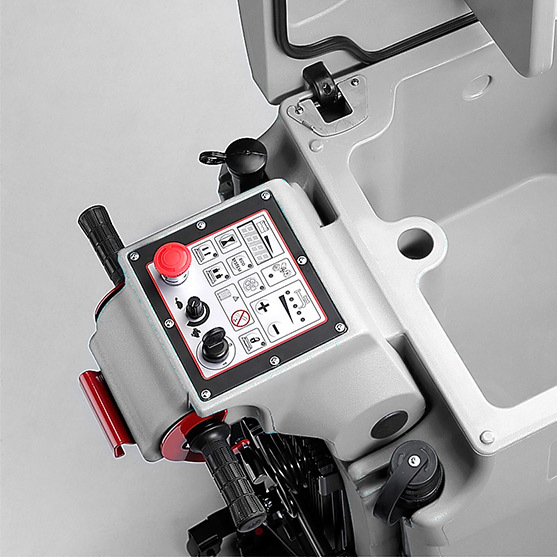 Trust the M810 to always deliver outstanding results, it's the ideal solution for even the toughest environments. 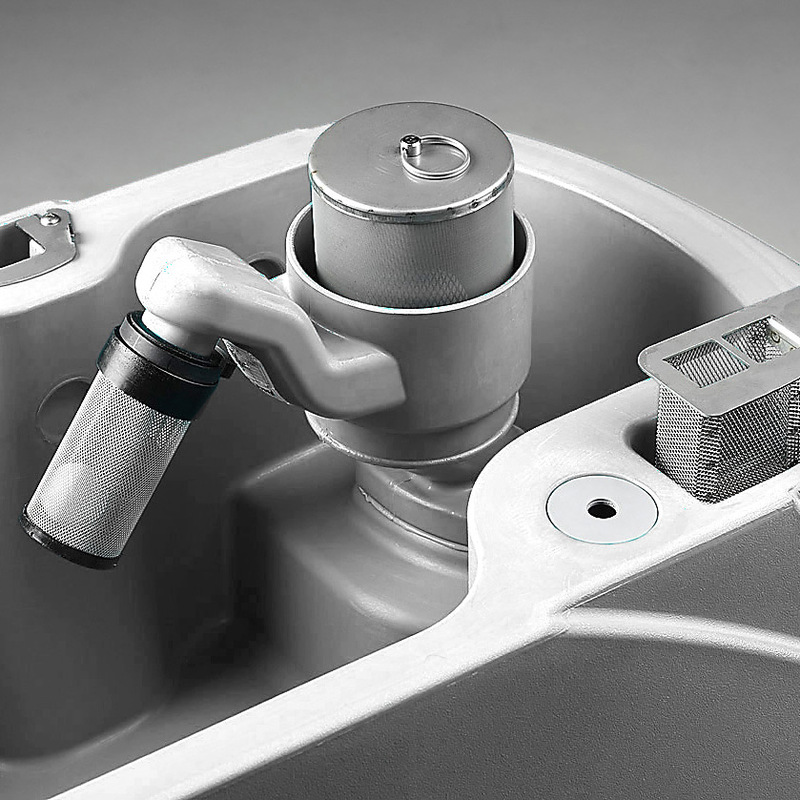 Available with the MACH ECOsystem®. Experience perfect results with the powerful M810. The M810 is the ideal combination of technology and size, with a wide cleaning path and intense cleaning power it delivers perfect results, even on the toughest surfaces. 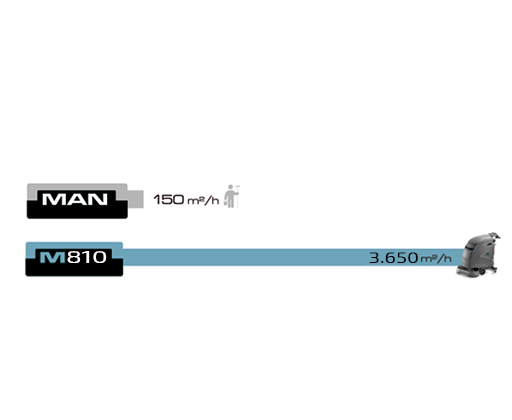 It is highly productive with an 810 mm / 32 in dual brush head and top traction of 4.5 km/h / 2.8 mph, the M810 can deliver an impressive cleaning capacity of up to 3,650 m² / 39,290 ft² per hour. 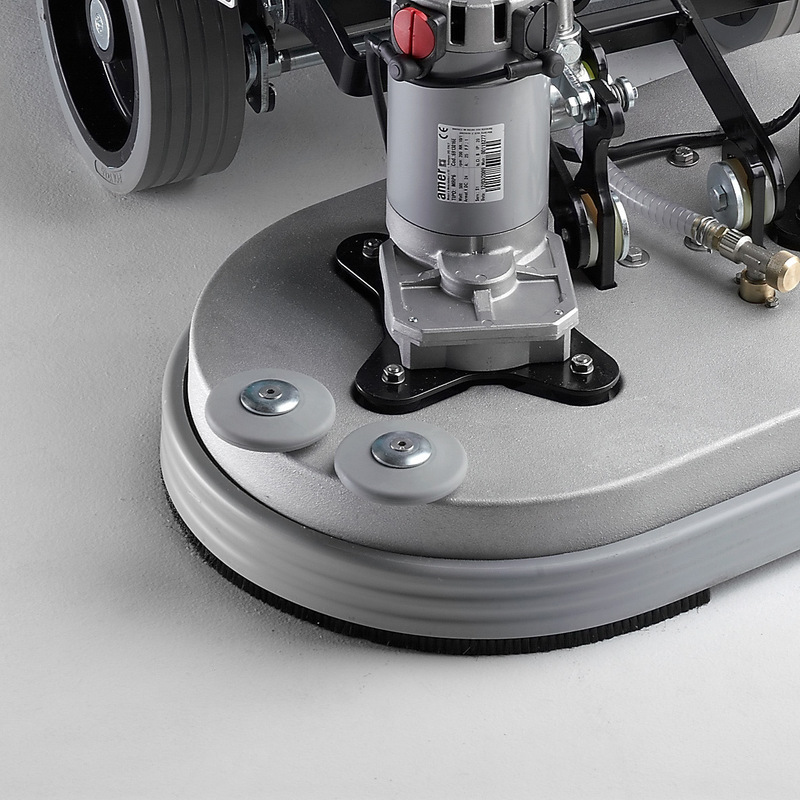 The wide cleaning path maximizes up time and productivity, delivering perfect clean, dry floors, fast. 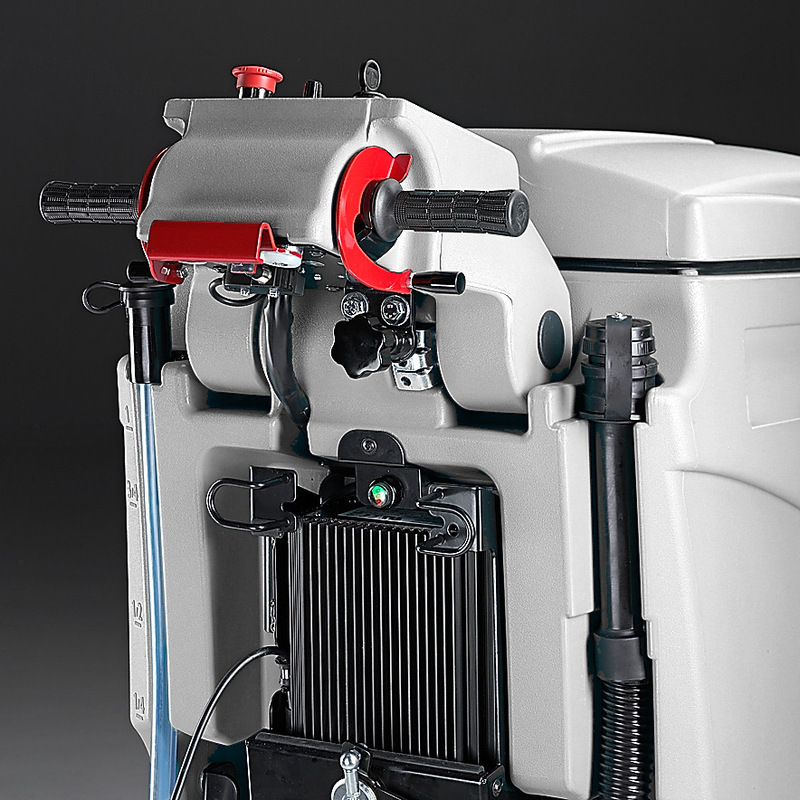 The M810 is available with MACH’s ECOsystem®, a patented technology that recycles water and detergent. 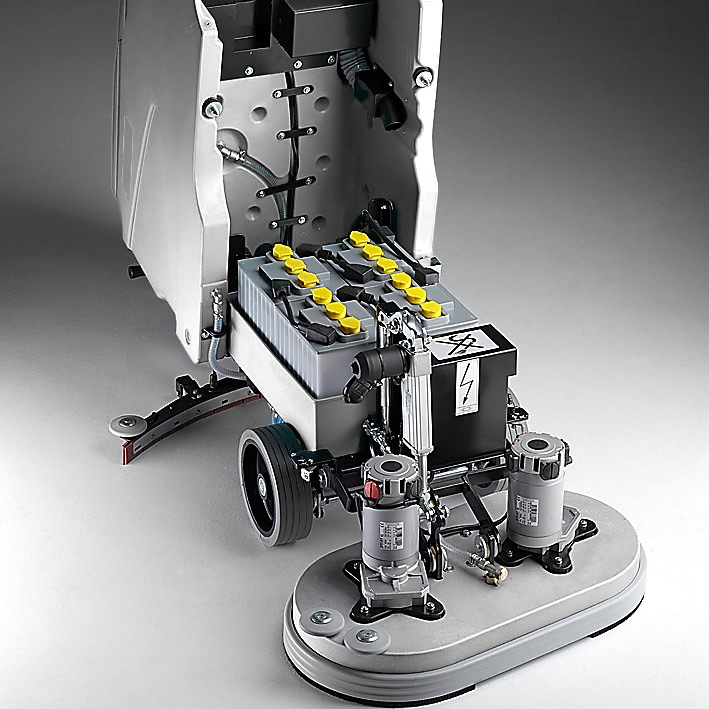 Guaranteeing incredible solution, labor and cost savings whilst reducing the environmental impact of cleaning. A heavy-duty frame that’s built to last, the M810 is treated with innovative electro-coating for the best anti-corrosion protection. 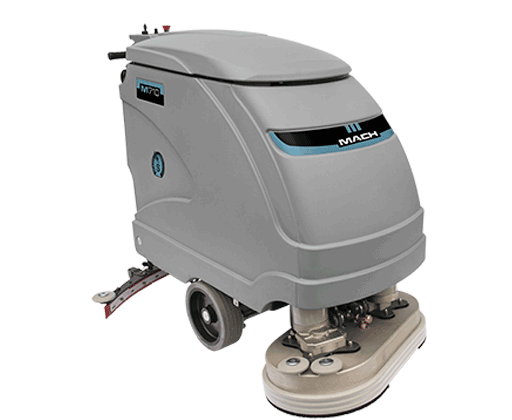 MACH’s scrubber-dryer line in Chrome is designed to work in particularly corrosive contexts. The stainless-steel frame and squeegee guarantee an extended lifetime.